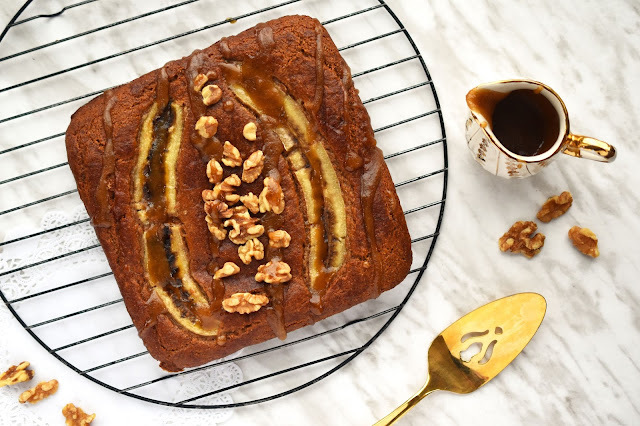 The first thing to know about this Quick Banana Cake With Caramel Drizzle is that it smells sooo good when it's baking. The combo of banana and cinnamon makes for such a lovely, fragrant scent emanating from the oven. It's the perfect antidote for a dreary winter day. 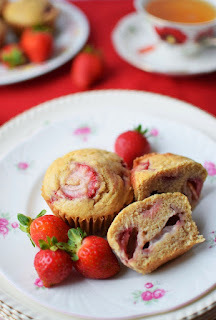 It's also packed with nutritious, natural ingredients while still tasting as sweet and decadent as cake should. 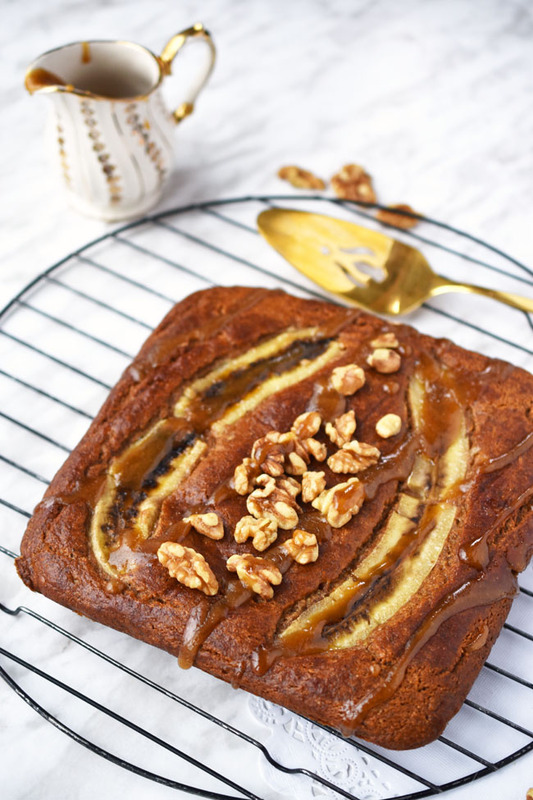 As with all of my recipes, this banana cake is vegan, meaning no eggs or dairy needed. 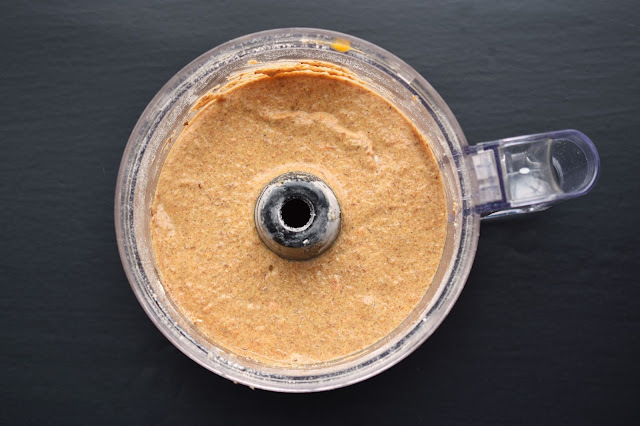 One big bonus to this recipe - you can prepare the mix right in your food processor. Yes, the whole batter - dry and wet. It all goes right in the bowl of the food processor. Blend it up for a minute or so, pour into your prepared pan and your banana cake is ready for the oven! Line the baking dish with parchment paper to make preparation of this cake even easier. 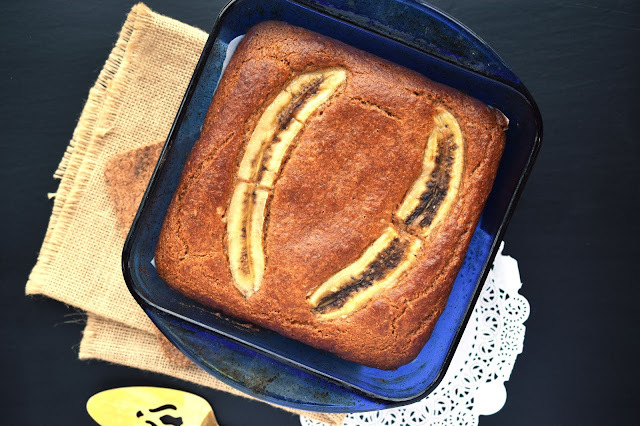 The banana cake will pop right out of the pan when cooled. 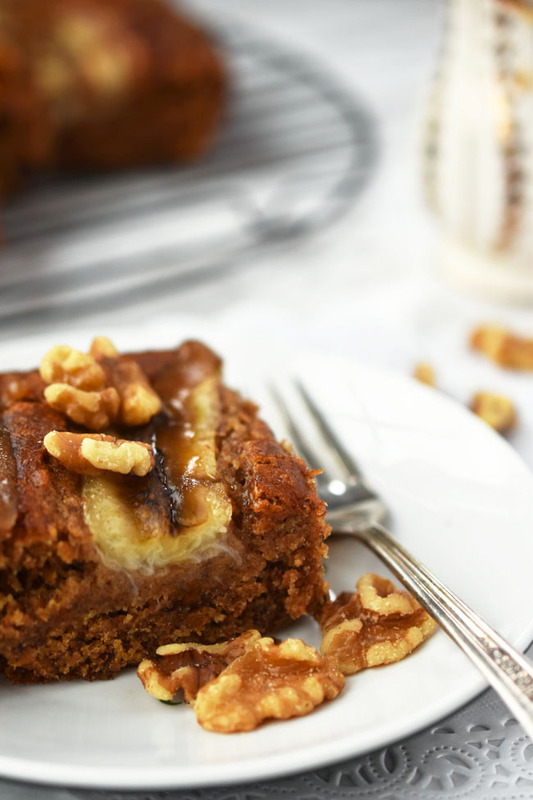 This Quick Banana Cake With Caramel Drizzle has many healthful ingredients, but there's one particular ingredient that's most surprising. Like any smart, experienced mother of teens, I didn't immediately tell my kids there was a secret (healthy) ingredient in my banana cake recipe. I let them stuff handfuls of cake into their faces first. And then I was like, "There's a secret ingredient in there." They grunted. No interest. So I texted them. Yep, I texted them. Because they can't ignore their phones, right? Teen rulebook 101. I texted a hint. "The secret ingredient is orange." Whoever texts me back first will get a prize, I told them. My son returned his response first - "orange." Nope, it's orange in colour, not an orange, for goodness sake. My next clue, "Let's get to the root of the problem." Nothing. Third clue, "It's not salty, it's..." They both texted back "sweet potatoes." My son's text came in slightly ahead, but he didn't ask for his prize, because he knows that anytime I offer a prize, it turns out to be a hug and a kiss, not a trip to the outlet mall to look at basketball shoes. That's a very long way of saying, this banana cake recipe calls for cooked sweet potatoes. And you would never know it. Because the cake is delicious. Not that sweet potatoes aren't delicious. It's just that it's cake and you don't expect to get veggies with your cake. Of course, adding a vegan caramel drizzle to the top of your cake isn't the healthiest of steps. But I highly recommend it, because the little bit of sweet drizzle takes this delicious little cake to a new level. 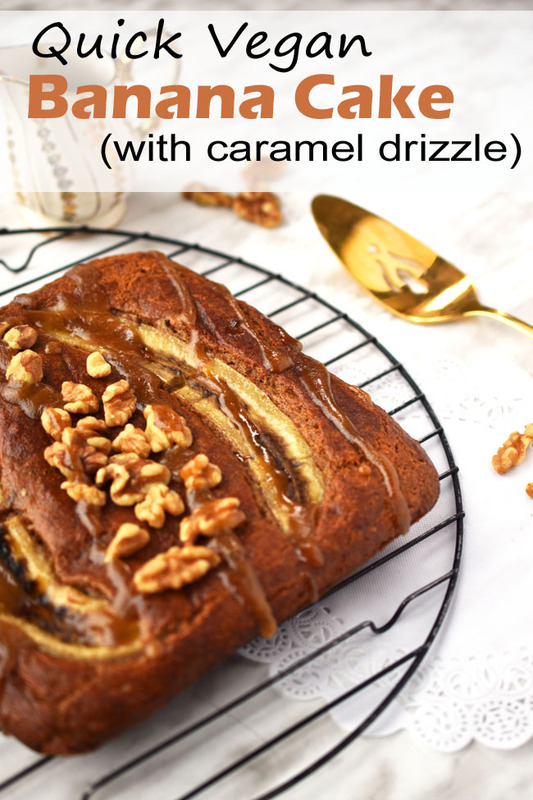 And the caramel drizzle is very quick and easy to make. Just melt a bit of vegan margarine in a pot, stir in brown sugar, a pinch of salt and non-dairy milk and it's done. This recipe makes a small 8" x 8" cake. Make it in the evening and expect it to be gone by morning. It's just so easy to nibble away at it. Fortunately it's super easy to whip together another banana cake at a moment's notice, as long as you have some cooked sweet potatoes in the fridge. Cook some extra sweet potatoes with your lunch or dinner so you'll have some on-hand to make this cake. Do you ever "hide" healthy ingredients in your baked goods? Visit my Recipes page for more vegan recipes. Grease an 8" x 8" baking dish, or line with parchment paper. Pour the batter into the prepared pan. Bake for about 30 to 35 minutes, or until a toothpick inserted in the center comes out clean. Melt margarine in a small pot over medium heat. Add brown sugar, salt and non-dairy milk. Stir until mixed. 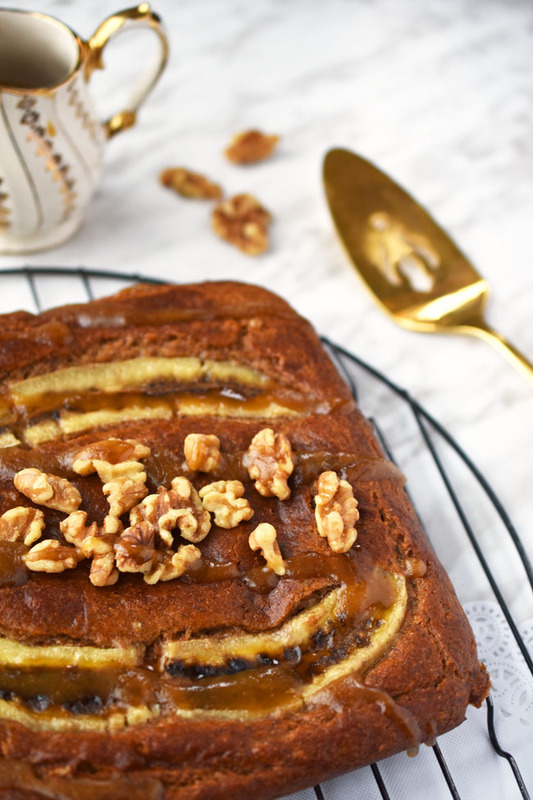 Sprinkle the cake with walnut pieces. Drizzle icing over cake. Put it under a broiler for a couple minutes until icing bubbles.